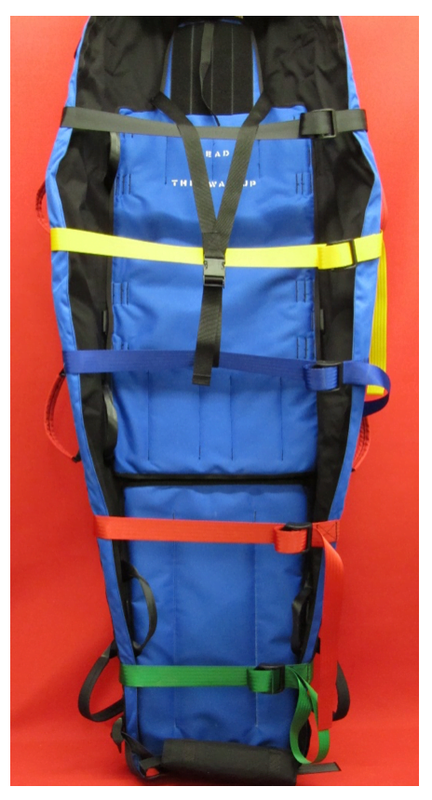 With carry handles at the head and foot, colour coded centre lifting handles with fixed handle pads, and the bi-folding spinal insert which simply buckles into the MIBS MK2 Stretcher. This robust compact stretcher can be carried from either end, making for a fast evacuation through narrow passage ways and gantries. The carry tubes attached to the head and foot ensures hand transfers from one stretcher-bearer to another are both simple and quick, making for easy passage through ship bulkheads and Submarines. 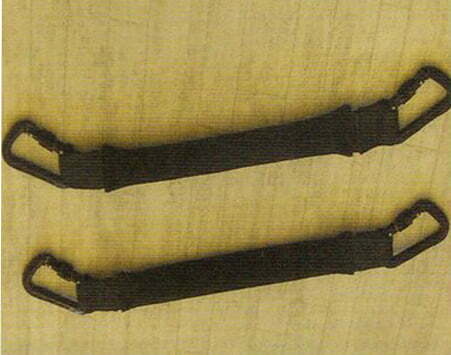 There are larger loops in the fold away vertical lifting straps for simple attachment to a top hauling line. 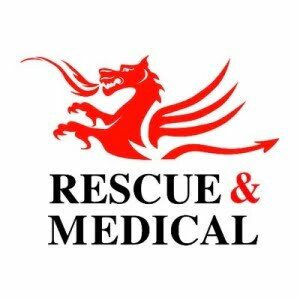 Bariatric version of the MIBS Stretcher MK2 Rescue Version. Robust carry bag, zip opening with back pack straps. 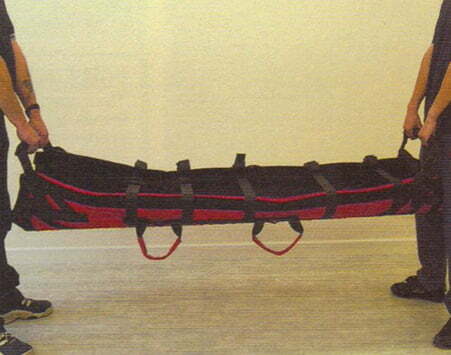 Will hold MIBS Stretcher, skid sheet, harness and carry tubes. 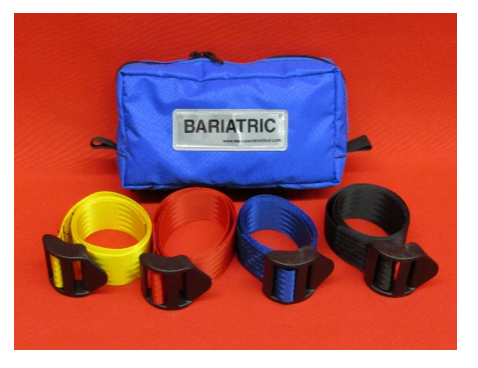 Available for standard or Bariatric. 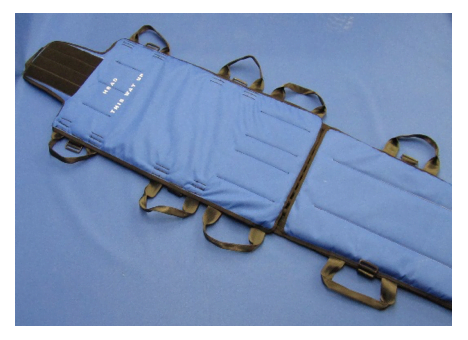 Detachable robust skid sheet for MIBS Stretcher protection. Shown folded with carry bag and unfolded, this robust Cordura covered unit can be used as a short board or folded out at full length. It is fully padded and curved to reduce pressure points, has six carry handles and paramedic Velcro strap attachments for securing casualty. There are also attachment loops at the top and bottom for securing onto MIBS Rescue Stretchers. 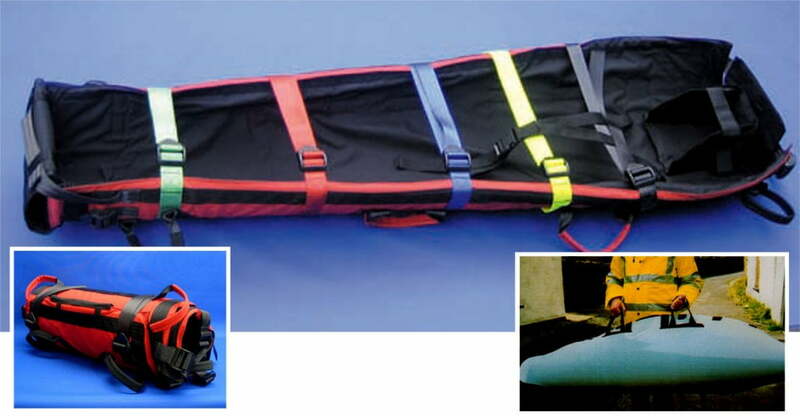 The unit can also be used with standard MIBS Military Stretcher and comes with a Cordura carry case with full fold away backpack, top, bottom and centre carry handles, along with two 50m attaching straps for MIBS. Attaches to Mk1 Head Restraint but has fold up reinforced sides to give more support. 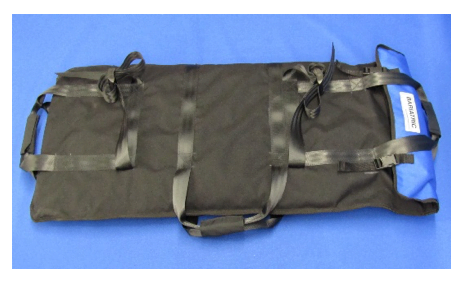 These lightweight, padded end, carry tubes attach to stretcher with karabiners. Simple and very effective carries. Length 48cm. For use only with standard MIBS MK2. Horizontal lift/lower harness, four point attachment via offset screw gate karabiner, two safety slings and a central lift karabiner. Strop length 65cm.